Who said a Cape getaway needs to cost your life's savings? 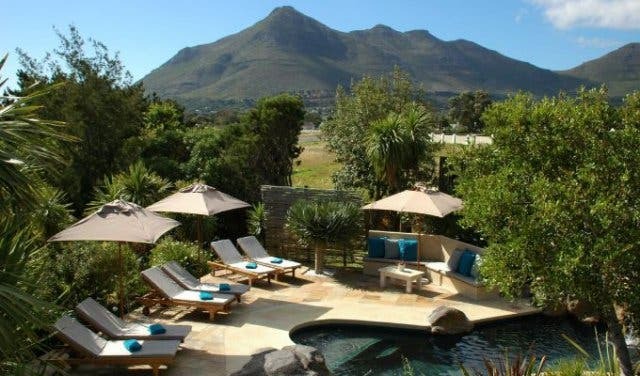 Cape Town's first adventure lodge, ridiculously awesome farm stays, beachside cottages, winelands getaways – all with creature comforts, swimming pools, little luxuries, safety and security, and close proximity to fun activities for couples, kids and families alike. And all cheap and cheerful; real budget getaways near Cape Town. 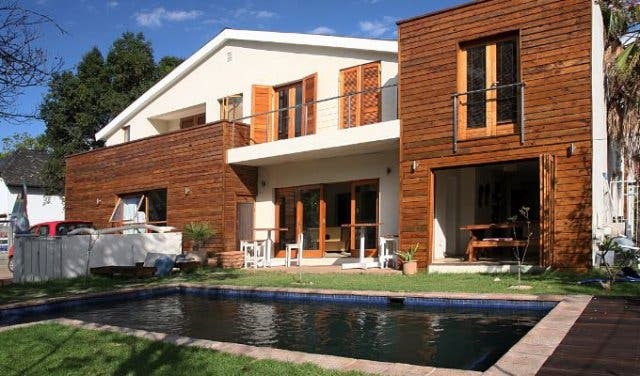 Stay over in this homely family mansion on Station Road when you pass through Cape Town. The backpackers, run by two friends who are passionate about what they do, has four- and six-bed dorms as well as private double and family rooms. The house is clean, spacious and feels like home. It’s perfect for like-minded travellers to meet before they go on their next adventure. Read more about Wanderlust Backpackers. 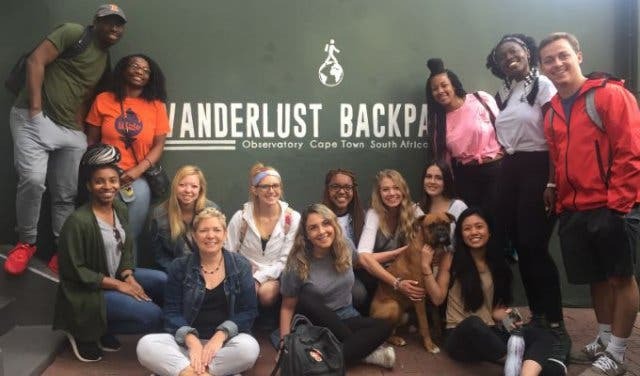 When we put together our special selection of budget getaways and cheap accommodation near Cape Town and the Western Cape, we wanted to give you something awesome. No nasty stuff. We looked far and wide for real hidden gems. 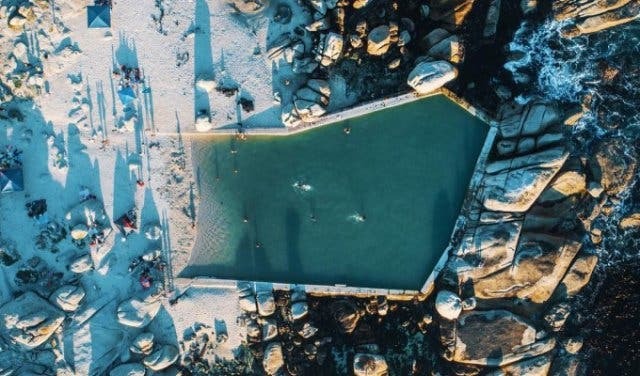 Places that have pools, offer great experiences and everything you need to have a true Cape getaway experience. And we also made sure they're truly budget: Our selection ranges from really good deals starting at just R195 for an entire cottage to max R550pp per night. Although, most of them average around R500–R600 for an entire cottage (no limits on pax). So grab that book you’ve been dying to read, dust off those walking shoes or pick up that polka dot bikini, it’s time for a budget getaway! 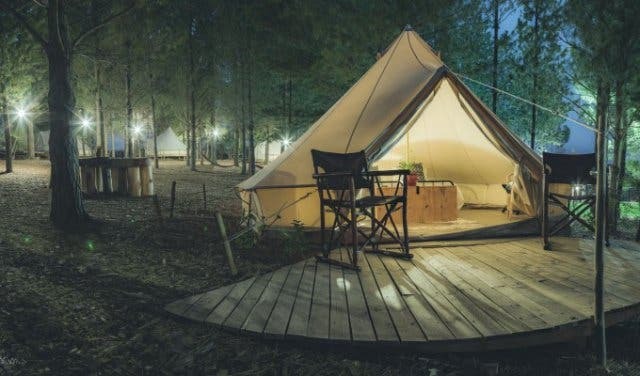 At just R600 per night for a cottage only 30 minutes outside of Cape Town, you have to be excited for the city's first real adventure lodge. 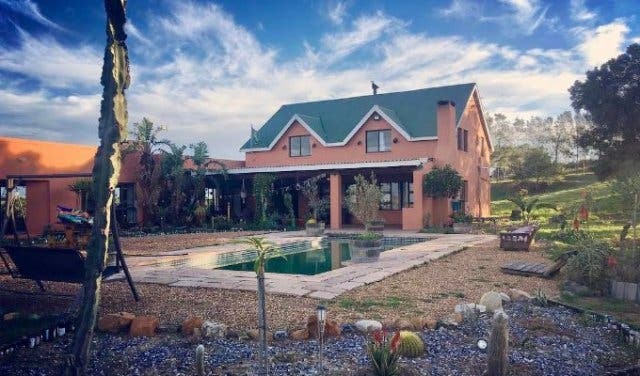 There's a pool, braai, bar (with pool and darts) bush, farmlands and mountain views and full facilities, including romantic bush cottages (with en suite bathrooms). The real reason to come here, though, is the Cape Town adventure activities. The owners specialise in taking you on excursions from paintball and kitesurfing, surf and city tour experiences to sandboarding and dune adventures. You're gonna want to check out Zeestock, Cape Town's first adventure lodge. Top Tip: Zeestock also offers sandboarding, kitesurfing and paintballing. Book a private event for your birthday party, team building or bachelor party. The Baths is a hot spring self-catering retreat tucked away on a citrus farm near Citrusdal. You can jump between cold and hot pools, with the waters reaching 43˚C. Explore the mountain rock pools, spa baths, a tennis court, trampoline, pool table, a children's playground and restaurant. Top tip: Reservations are done by phone and we advise to book in advance. Rates increase on 1 March 2019. Hartenbos is situated along the spectacular Garden Route between Cape Town and Port Elizabeth, around 8km from Mossel Bay. 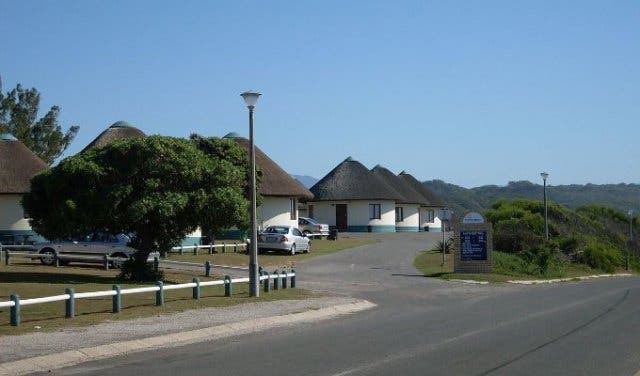 With various self-catering accommodation options, budget family holidays by the sea are a reality. Splash in the waves and catch some sun at the Blue Flag beach, paddle in the river, whoosh down the super tube and spend a few days to discover more. Top tip: Book off-season to get the best rates. Centrally located in Stellenbosh, it's the ideal choice for travellers wanting to get to know the area. Enjoy the winelands on a self-drive exploration, go cycling, take a tour or pub crawl the night away in this lively university town. Go horse riding, mountain biking, strawberry picking, brandy tasting and explore awesome wine estates and their superb restaurants. Top tip: Check out our overview of things to do in Stellenbosch. A perfect destination in the Biedouw Valley surrounded by rugged and picturesque mountains, Enjo Nature Farm is a gem in the Cederberg. The great wilderness area offers majestic views, incredible spring flowers (in August and September), and rugged hikes and mountain bike trails. Top tip: This accommodation is pet-friendly. Come to the West Coast and experience the tranquil ambience of this old fishing village with its whitewashed cottages and long sandy beaches. Top tip: The accommodation is within walking distance to well-known restaurants like the Noisy Oyster, Voorstrandt and Oep ve Koep. Are you a kiteboarding enthusiast? Maybe you’ve always wanted to learn the sport but have never followed through? 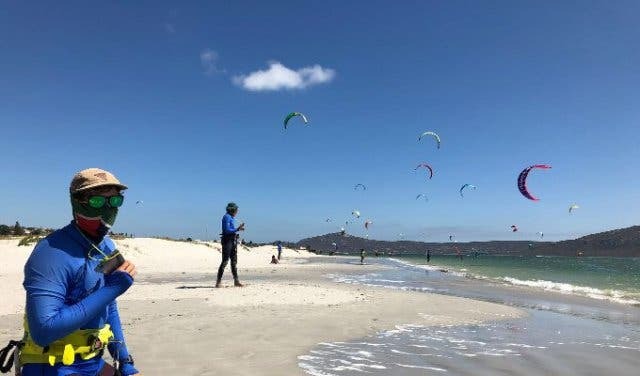 WindChasers, situated roughly an hour’s drive from Cape Town in the seaside hamlet of Langebaan, is the ideal spot to brush up on the sport. 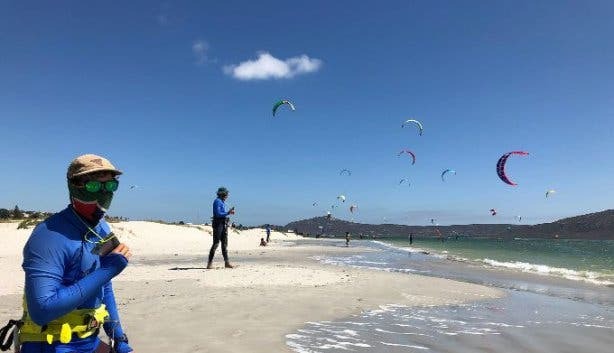 Located a stone’s throw from the seafront, this self-catering accommodation is the perfect place to soak up the sun and surf and take advantage of the on-site experienced kiting trainers. Top tip: In the interest of creating an interactive, social space for like-minded individuals, the KiteHouse is reserved for kitesurfers and wind sports enthusiasts. 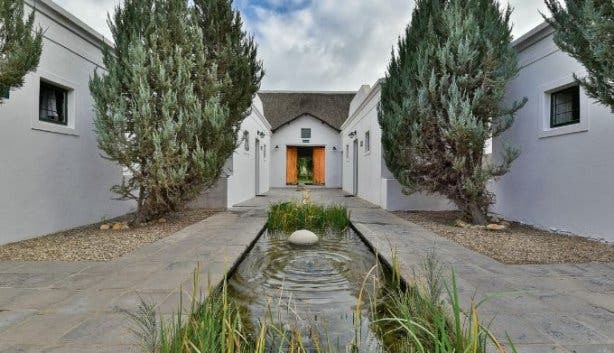 Located in the mountain-ringed region of McGregor about two hours from the Mother City, Temenos meaning "a sacred space" is ideally suited for those seeking seclusion, rest and relaxation. The affordable retreat offers various self-catering cottages, all equipped with private patios and fireplaces. In addition to enjoying the tranquil setting, you can seek silence and solitude in one of the secret gardens or the labyrinth. Visitors can also make use of the swimming pool, restaurant, library and poetry room or can call on the services of a local therapist skilled in aromatherapy massage, reflexology or the like. Top tip: Enquire about the specials and wellness retreats that run throughout the year. 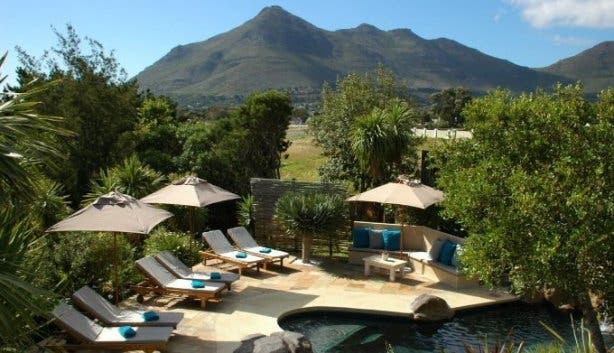 Less than 30 minutes from the city centre, nestled in the seaside suburb of Noordhoek at the foot of the scenic Chapman’s Peak, the tastefully decorated guest house is the perfect perch from which to explore the Cape Peninsula. 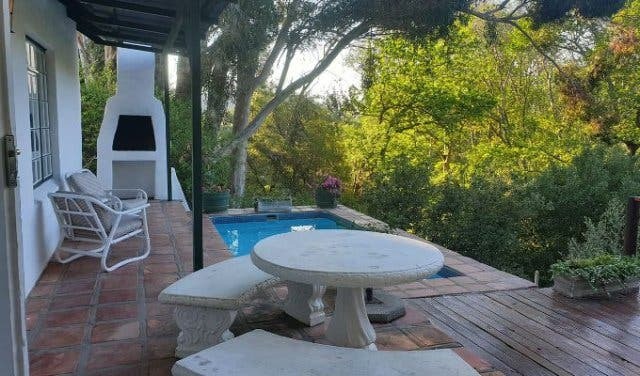 It’s a short distance from the quaint village of Kalk Bay, the penguin colony at Boulders Beach in Simon’s Town, the Constantia wine estates and Steenberg golf course. You can benefit from the beautiful lawns and gorgeous pool area as well as the warm hospitality of the owners. Top tip: In high season, prices increase. 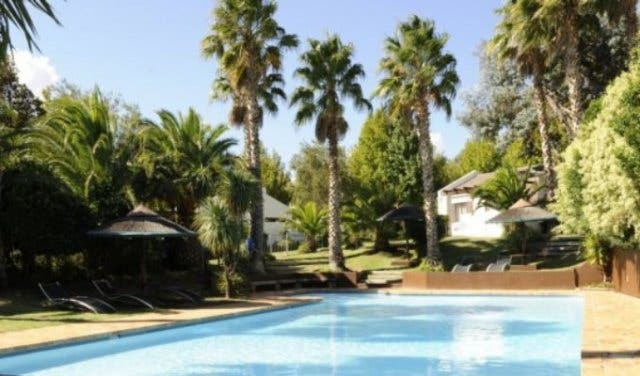 Situated just two hours from Cape Town along the scenic Route 62 lies Montagu Springs. As per its name, the family-friendly resort grants you access to the hot springs. Children love the play park, jungle gym and heated children's swimming pool. Plus, visitors to the area will not be at a loss for things to do; out-of-towners can pop by the local guano caves and the Montagu Museum, and there are ample opportunities for walking and bird-watching. 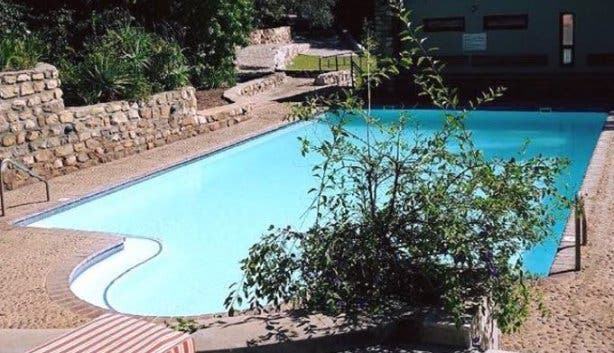 Read more about Montagu Springs and other hot springs in the Western Cape. Top tip: Exclusively for guests, entrance to the resort's heated pool is R15 per person per day over weekends and all holidays. Entrance to the heated pool is R10 per person per day during the week. 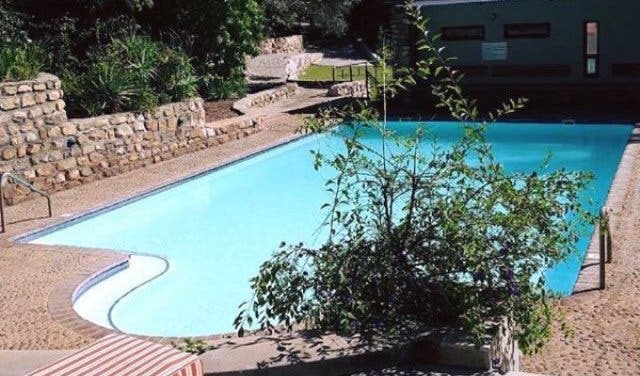 Located on a working farm and private nature reserve that’s perched on top of Aurora Mountain (a 90-minute drive from the Mother City), DanielsHoogte is a hidden gem just waiting to be uncovered. Visitors stay in mountain-top self-catering cottages and are sure to be wowed by the panoramic vistas and the abundance of flora and fauna. Take advantage of the hiking trails and bird-watching opportunities or cool off in the dam. With reasonable rates and rustic but comfortable accommodation that sleeps between two and six people, DanielsHoogte is a great spot for a family getaway. For intrepid explorers, there’s also the Cave Campsite where you stay in a natural cave, accessible by road and equipped with a braai area and ablution block. Top tip: There’s a minimum of two nights stay. Rates: From R720 per cottage per night (R360 per person sharing). 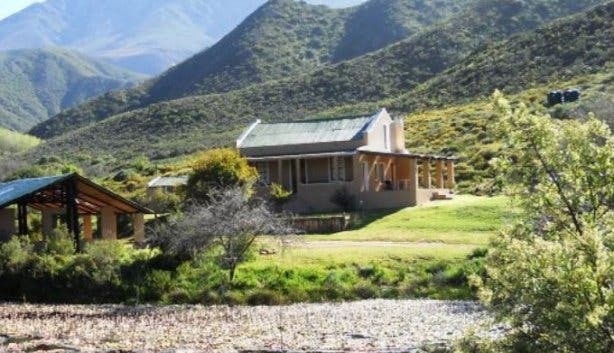 Close to Robertson, at the foot of the Langeberg Mountains, lies Buitenstekloof Mountain Cottages. 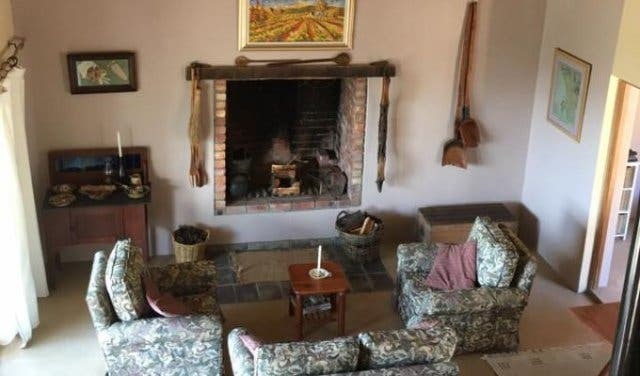 The simple dwellings are located on a working wine farm that spans over 1000 hectares, so guests can enjoy wine tastings and vineyard strolls as well as do some bird-watching, hiking, climbing, fishing and mountain biking. That being said, the tranquil setting is also ideally suited to those looking to unwind. Top tip: Take a day trip to the Klipdrift Distillery in Robertson for a brandy tour, tasting or lunch. 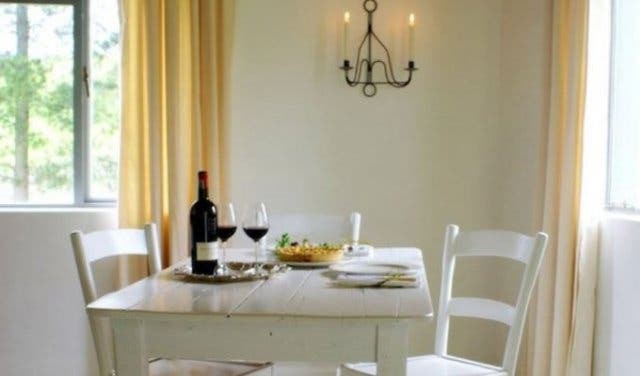 Bet you didn't think you could stay budget-friendly in the Cape Winelands culinary capital. It's roughly an hour from the Mother City. Taking its name from the bubbling stream nearby, this quaint self-catering abode has all the charming Cape trappings – terracotta tiles, a tin roof with a reed-lined ceiling, whitewash walls and paintings of country landscapes. Soak up the spectacular natural views, meander along the brook, bask in the sunshine on the sun deck or take a dip in the private splash pool. For those chilly evenings, read a book by the hearth or take a wander to the boma located just along the stream. 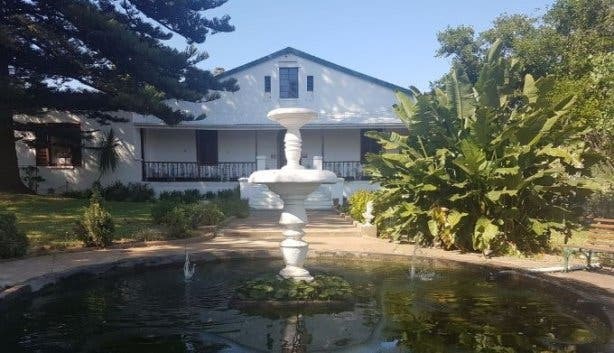 It goes without saying that as Little Willow Brooke is just a short drive from many beautiful wine estates, wine tasting is always on the cards. Just outside of Stanford is where you will find the historic Weltevrede Farm, home to the Stanford Hills Estate. Roughly two hours from Cape Town, the pet- and child-friendly property is known for its beautiful dam and rolling fields of fynbos, vineyards and olive groves. Equally renowned for its award-winning wines, the estate offers self-catering cottages and a historic manor house. 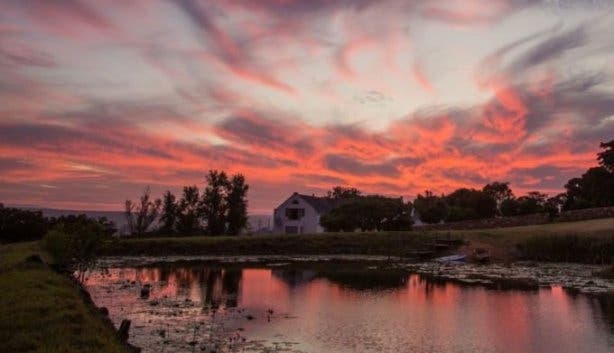 Besides enjoying the tranquil setting, visitors can while away the hours with leisurely strolls through the vineyards, a swim in the dam, wine tasting and even trout fishing. Top tip: Lunch at the Tasting Room Restaurant – the on-site eatery offers a delicious seasonal menu that changes daily, wine tasting and plenty of kid’s activities (there’s a jungle gym, playground and trampoline). 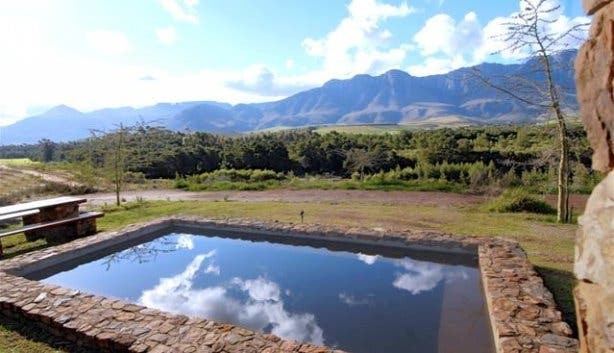 Located 20km east of Stanford in Sondagskloof, with limited cell phone reception, TV signal or neighbours, Hermanuspietersfontein is a retreat for those looking to switch off from city living. With opportunities for mountain and streamside walks, stargazing, bird-watching and braaiing, the dear little spot is the perfect place to rest, relax and soak up a scenic setting. You can also benefit from a leisurely stroll through the vineyards. Top tip: Bring your braai stuff because there are ample facilities at these self-catering cottages. 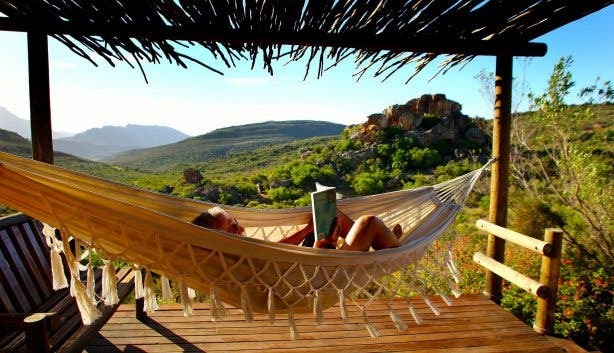 You’ll find Gecko Creek Wilderness Lodge hidden away on a 517-hectare private nature reserve bordering the Cederberg Reserve. 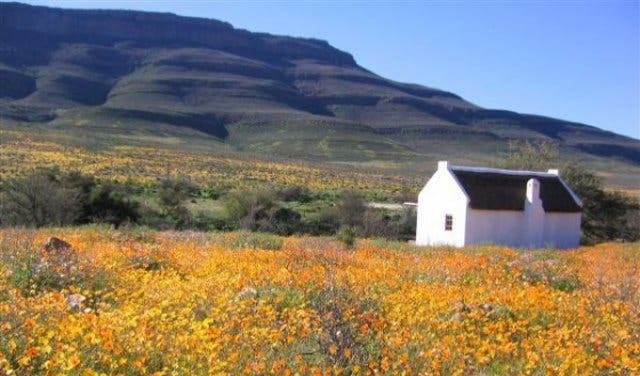 The region is rich in fynbos, birdlife and fauna, and explorers of the breathtaking natural setting may even discover rock art left by the indigenous San Bushmen who once populated the area. Take advantage of the peaceful, unspoilt surroundings and delight in a night sky that yields many shooting stars. And for those chilly winter evenings, sit in the fully-enclosed lapa and enjoy a steamy glass of Glühwein or hot chocolate. Gecko Creek Wilderness Lodge offers self-catering cabins and tents which boast breathtaking views of the majestic Cederberg Valley. Top tip: Book for four nights and only pay for three (Valid Mon–Thur). Enquire about the weekend special. Seeking an affordable getaway fit for the whole family and even your furry friend? Then look no further. Oewerzicht is located on a working farm 9km from the quaint town of Greyton and offers you the chance to camp or stay in tented accommodation and tastefully decorated cottages. Visitors can delight in the sprawling wheat fields, roaming flocks of sheep and maybe even the sight of a herd of rhebok. Bird-watching, hiking, mountain biking and leisurely strolls through the orchards are also on the cards. Top tip: Children and well-behaved dogs are welcome. Fancy a truly unique getaway experience for you and your significant other? 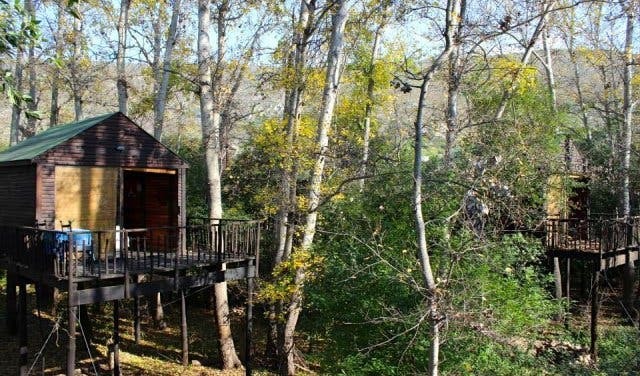 How about a few days spent in the treetops of a poplar forest along the banks of the Olifants River? Take your pick from one of Kardouw’s self-catering treetop cabins. 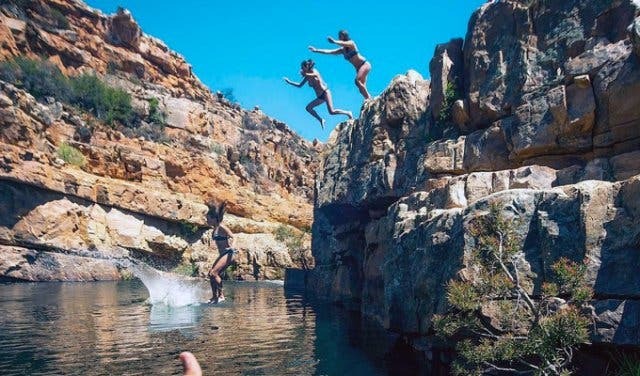 To make the most of the scenic surrounds, have a braai along the riverbank beneath the stars or else try your hand at fishing or canoeing in the Olifants River. Top tip: Booking in advance is essential, especially for holiday periods. Top tip: Valid until the end of 2019. The Old Pastorie | Pastorie Street | Darling | +27 (0)22 492 3715, +27 (0)72 083 9990 | firstreserve@worldonline.co.za, The Old Pastorie website. 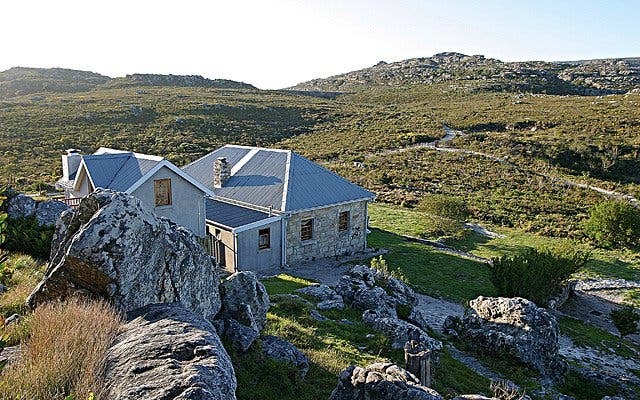 Escape the hustle and bustle of city living with a stay in the Table Mountain National Park. 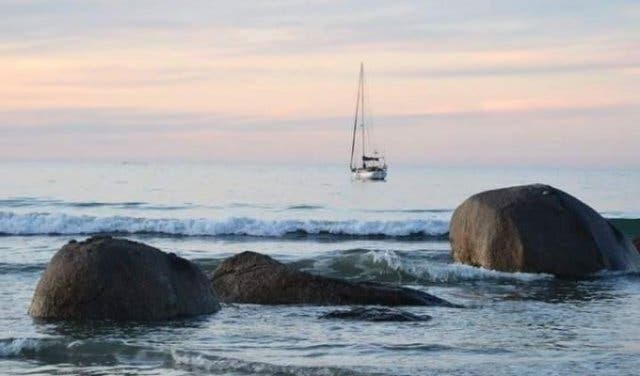 For an unforgettable wallet-friendly experience ideal for the whole family, we recommend the Eland or Duiker cottages in Cape Point, the Overseers Cottage atop Table Mountain or the Wood Owl Cottage in the Tokai pine plantation. If you’re an intrepid traveller, opt for a tented camping experience in Silvermine, Slangkop or Smitswinkel. 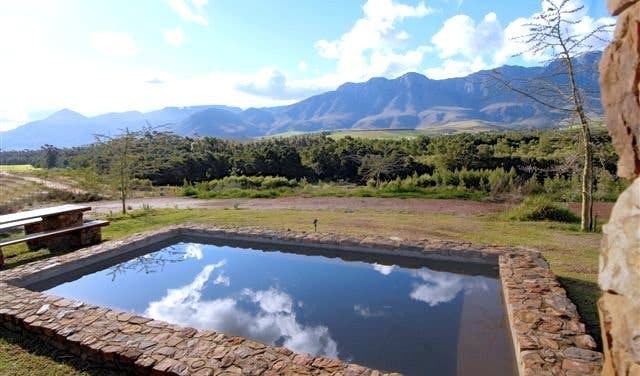 Each of these spots is set amidst stunning natural scenery and boasts plenty of opportunity for hiking, bird-watching, picnicking, braaiing, stargazing and the like. Top tip: The SANParks booking system is sophisticated and allows you to check availability and book in advance. Perhaps you’re seeking ideas for a romantic getaway instead? Or maybe a winter weekend escape for those chilly months? Discover more Cape Town accommodation. 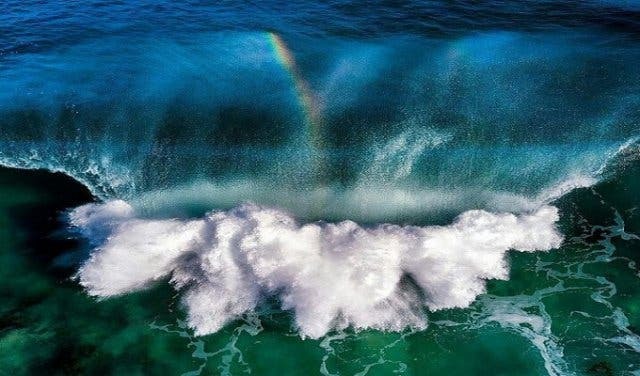 Discover beautiful, secluded and popular beaches around Cape Town, as well as awesome surf spots. 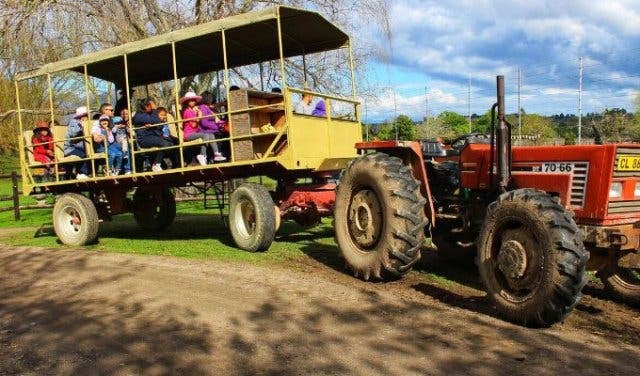 Plus: Keep the family active and engaged with these free and cheap things for kids in Cape Town. Great vibes, over 115 stalls, live music, delicious food and planet-friendly recycling at the monthly Thrift Fest.